Unusual ball pen in the shape of a cat wearing a bell collar. 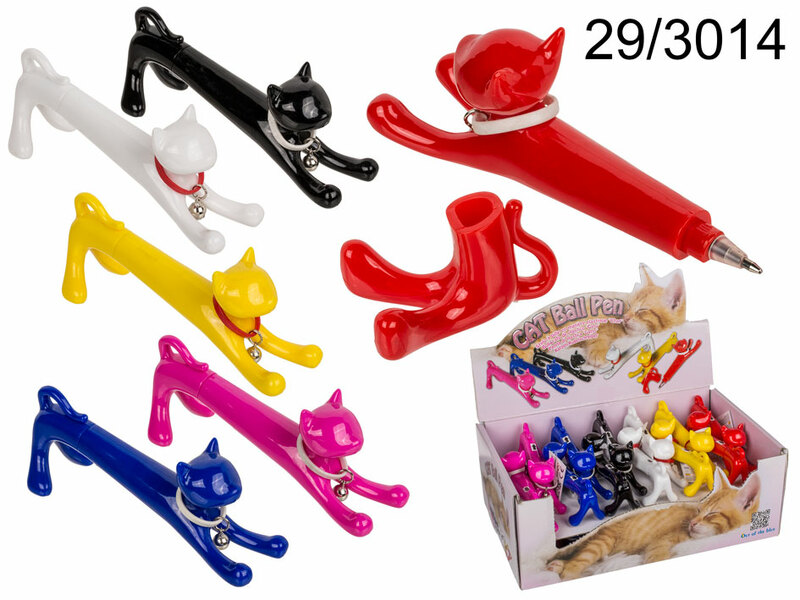 Lovely item for every cat lover. Size: 11 x 2 x 4 cm. Display stand contains 24 items. The given price is for 1 pen.